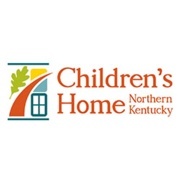 Children’s Home of Northern Kentucky is dependent upon the wider community for financial support that bridges the gap between state reimbursement rates and the true cost to care for abused, neglected, and at-risk youth. That’s why the annual support provided through the Cincinnati International Wine Festival is so critical to our treatment lines. Joey arrived at CHNK as an inquisitive 10-year-old who loved to ride bikes. When Joey first stepped onto our Devou Park campus, the first thing our residential team members noticed were his shoes – they were falling apart, literally. After finding Joey a new pair of shoes in storage here at CHNK, his assigned treatment specialist brought him by the office of CHNK Chief Executive Officer, Rick Wurth. Rick noticed the old shoes in Joey’s hands, and he asked Joey to tell him about them. And how Joey had been hurt while wearing those shoes. The Cincinnati International Wine Festival isn’t just a “feel good” opportunity to be social for a cause. The revenue generated by the event has direct, immediate impact on those in need in the community. Joey didn’t just get a new pair of shoes while at CHNK; he received cutting edge therapeutic interventions by licensed clinicians, academic support, and nutritious food to help him grow and development. He received a new path. The entire team at Children’s Home of Northern Kentucky is grateful for the ongoing support that is given to our youth through both the Cincinnati International Wine Festival and the countless individuals who attend the event and make the support possible. Thank you for building bridges to better futures.